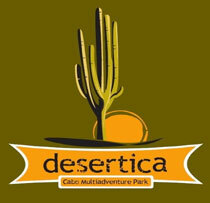 Desertica brings you to the great outdoors of Baja. Located about 20 Kilometers beyond the San Jose del Cabo Airport, you can get off the beaten path and truly experience the deserts incredible natural beauty. Desertica Park offers you so many different ways to enjoy it!